Beverly Joyce Gehrke went to be with her Heavenly Father on July 15, 2017, surrounded by her loved ones. Beverly Joyce Christianson was born September 13, 1928, the daughter of Ole and Inga Christianson in Coteau, North Dakota. She was the youngest of 14 children. Beverly graduated from high school in Flaxton where she met her best friend and soul mate for life, Wallace August Gehrke. They were married August 24, 1947 and celebrated 65 years of marriage. He died September 20, 2012. 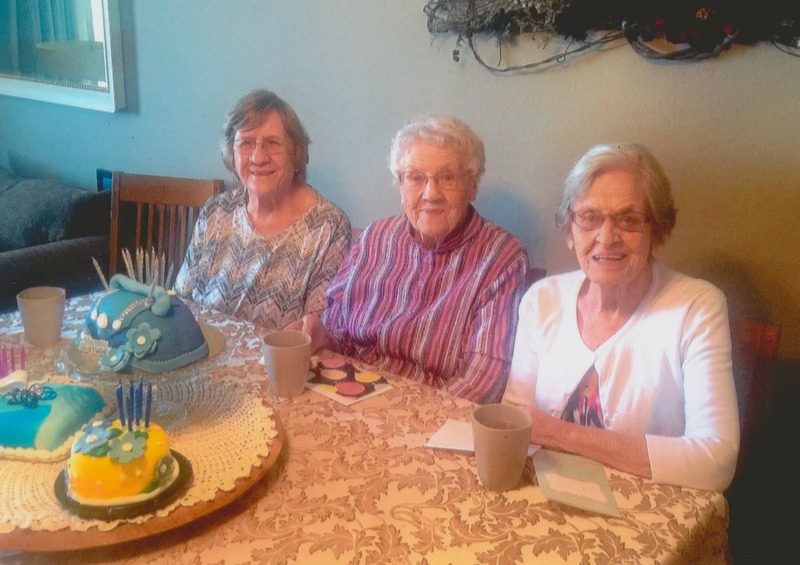 Wally & Bev made their home in Ellendale, Mohall, Minot and Fargo, North Dakota. 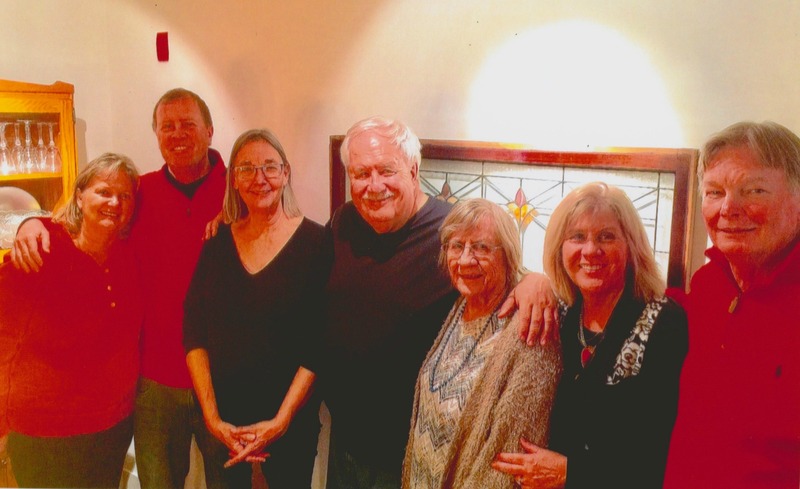 After retirement, they became snowbirds traveling to Mesa, Arizona for the winters. They eventually made their full time home in Mesa. She was a great mother and grandmother. 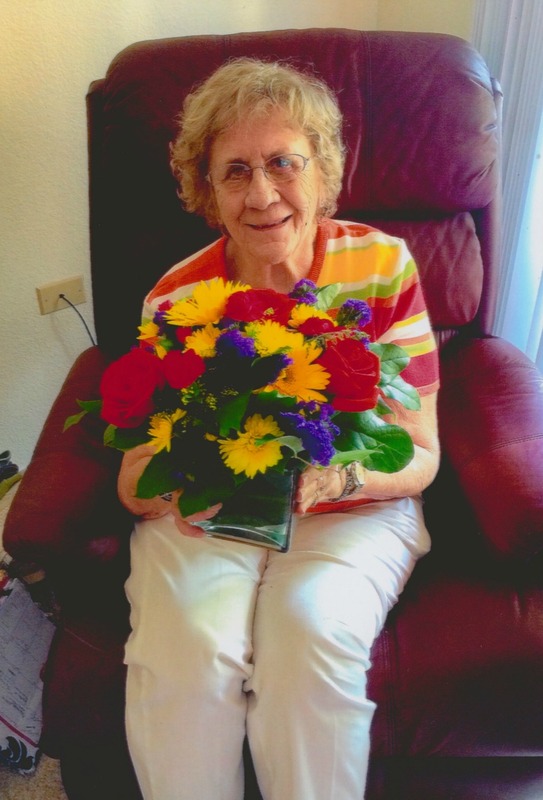 She spent countless hours with her eight grandchildren. They were the love of her life. Bev was preceded in death by her husband, daughter Cheryl Marie Gehrke, and 12 siblings. She is survived by three children: Gregory (Becky) Gehrke, Phoenix, AZ; Barbara (Steve) Blikre, Minot, ND; Bradley (Kathy) Gehrke, Albuquerque, NM; eight grandchildren: Kelly (Bob) Lyle, Austin, TX; Jay Gehrke, Scottsdale, AZ; Brock (Jaime) Blikre, Mesa, AZ; Joshua (Katrina) Blikre, Bismarck, ND; David (Amanda) Blikre, Minot, ND; Scott Gehrke, Tempe, AZ; James and John Gehrke, Albuquerque, NM. 12 great grandchildren: Karsten, Keira, Avery, Ellie, Dylan, Alexia, Kinzley, Riley, Tova, Rune, Brayden, Reece; and sister Dagmar Anderson. Grandma Bev will be greatly missed. We are happy that she will now be with Grandpa Wally in Heaven. Family service will be held with burial at 10:00 AM, Tuesday, July 25, 2017 at the National Memorial Cemetery of Arizona, 23029 N. Cave Creek Rd. in Phoenix. Barb, Steve and family. I’m so sorry for your loss. God bless you all. Our sympathy on the loss of your mom – Barb and Greg and entire family. No matter the age – it is hard. What a long and full life she led. Our thoughts and prayers are with you. Hoyt ,Barb And Brad . My best of all of you . She was a very classy lady . You were all so lucky . Love you all and my hearts out to you and the rest of your family . I have fond memories of my time as a child at the Kristianson reunions. Bev and Wally were special, loving people. God bless the family until the final reunion in Heaven. I’m very sorry for your loss, and I wanted to offer you some comfort that I’ve found in the Bible. Isaiah 25:8 says “God will swallow up death forever, and the Sovereign Lord Jehovah will wipe away the tears from all faces.” I hope this verse brings you some comfort in this hard time.